Here's a riddle. Nobody wants it, but everybody has experienced it at some point in time. It acts oddly and seems to come on for no rhyme or reason. It is vastly misunderstood by the general population as well as healthcare professionals from all fields. You guessed right, the answer is pain. If you are reading this post and currently in pain, I genuinely am sorry and have empathy for your situation. But understanding pain is the first step in combating it, so you are in the right place. My goal is to educate people on pain. 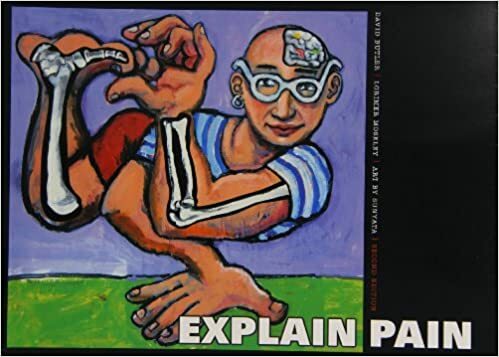 In my profession I deal with pain every day, so in order to treat it, I need to do my best to understand its complexity. 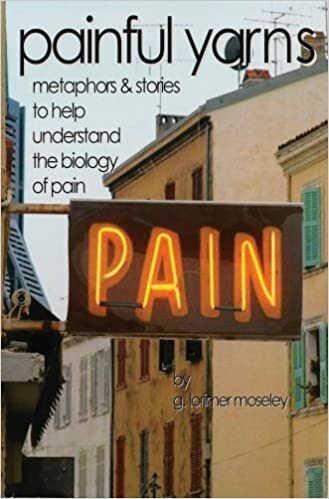 I have learned a great deal about the subject of pain from books by David Butler and Lorimer Moseley. These two guys are at the forefront of the research on this subject. So what is pain?....... A short but loaded question. First let's get some context. The body is constantly gathering information from sensory receptors about the body's internal and external environments. It is also interpreting how these two environments are interacting and how they relate to one another. All these signals are ultimately sent to the brain to make heads or tails of the information. These inputs can range from actual tissue damage, chemical changes, past experiences, emotional/psychological distress, lack of sleep, hunger, your mother yelling at you, or seeing a snake on a plane. The brain's job is to then interpret all of these signals and determine if a threat is present. If the body perceives there is a threat, a number of different responses are possible. One of the possible responses is pain. Pain is felt as a survival mechanism to encourage you to take action. However, it does not always mean damage has actually occurred. Consider this example Lorimer Mosley gives: A fractured wrist is often very painful until it is put in a cast. Once casted, the pain is almost always gone quickly thereafter. The problem with this is that we know that bone will take 6-8 weeks to fully heal (depending on age and other factors). Yet, pain is no longer present, and in some cases instantaneously gone once placed into a cast. So why is this? Very simply, the need for protection is now gone because the cast acts as an external protective device. In this example the pain is gone but damage is very much still present. The opposite can also be true. The body can be in pain, but no longer damaged. We must consider other factors such as social influence, past history, fear, future consequences, stress to name a few. All these signals can trigger the body to feel it is under threat and notify you via pain. For this reason you can experience pain with no tissue damage at all. I’m sure you have heard the term phantom limb pain. Even though the limb is gone, the body still has the ability to sense pain in this area. This reinforces the fact that if you can experience pain without a body limb, then tissue damage is not necessarily a prerequisite for pain. Furthermore, just because you are experiencing pain in a particular area does not mean that is in fact the source of the pain. This is why it is important to find a clinician who does not focus solely on the area of pain, but looks for other areas of dysfunction which may contribute to the brains overall perception of threat. Another possibility is that tissue damage could have very well occurred which initially started the pain cycle. However, because the body is great at healing itself at the cellular level. It is also possible that the tissue may have healed. Yet the brain still has the perception of threat because non-threatening inputs were never sent up to the brain to override the previously painful threats. This may explain why people often feel pain long after normal tissue healing time has passed. This is also why it is important to not treat pain with pain. Here is some research that backs the theory: tissue damage does not equal pain. Jensen and colleagues performed a study titled: MRI of lumbar Spine in People without Back Pain. They found that 52% of people without back pain had at least one bulging disc or MRI abnormality. Templehof and colleagues performed a study titled: Age-related prevalence of rotator cuff tears in asymptomatic shoulders. The authors found that 23% of people with asymptomatic (non painful) shoulders actually had a rotator cuff tear. These are just two examples. Numerous other studies could be cited to help support that tissue damage does not have to cause pain. So the next time you experience pain, please understand that there may be a number of contributing factors. Remember that pain is perfectly normal, it’s your body’s alarm system. Pain can be present with or without tissue damage. Providing the body with novel non-threatening stimulus's to remove the body’s need to produce a protective response is a great place to start if you are currently experiencing pain. Let's take the example of elbow pain, lateral epicondylitis a.k.a tennis elbow. It's not uncommon for lifters to experience elbow pain. I have noticed it becoming more prevalent now as people spend more time on their tablets using their fingers instead of a mouse. 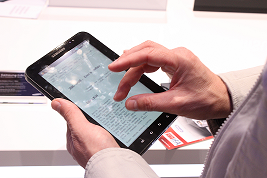 Holding a tablet in one hand, and constantly using your fingers to swipe, type, navigate, etc. will place your wrist/elbow musculature on constant stress. Over a prolonged period, this can be perceived as a threat to the brain. Especially if you are lifting heavy weight in conjunction and require a high volume of grip strength for your workouts. So applying the knowledge we learned about pain, and how it may or may not relate to tissue damage. Here is a very simple and extremely effective solution to a lot of cases. 1st) Reduce the threat. In this example altering body mechanics while using a tablet and modify your workout routine with less grip intensive activities for the time being. 2nd) Provide a novel and nonthreatening stimulus. In this example, I will use a wrist extensor stretch. While this exercise may not seem like much, it's very effective when applied correctly. Flexing your wrist and turning it to the side obviously places a stretch on the outside of the elbow or to the wrist extensors. In addition, you are also placing some tension and loading a nerve which flosses through the tissues at the elbow called the radial nerve. So we now have our novel/nonthreatening stimulus. 3rd) Here is the kicker. You can do all the above, and get zero results unless you get this third step correct. 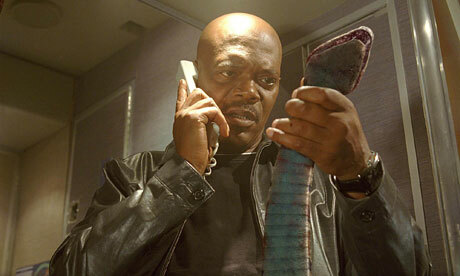 You MUST perform the novel/nonthreatening stimulus frequently. To the tune of every 1-2 hours for best results. Here is why it's so important. When the body is in pain, it is very good at making memories of pain. This is because the body is very protective over itself, and rightfully so. The only way to reduce the threat is to perform a stimulus frequently enough that if no longer feels the need for protection. This example can be applied to many other pain scenarios as well if you follow the steps correctly. 1) Remove as many threats as possible while in pain 2) Pick a novel/nonthreatening stretch or exercise 3) The exercise should be simple enough so that you can perform it frequently throughout the day (in some cases every 1-2 hours).